With a background in management as a real estate executive, Mike wanted to escape the corporate life and find something more fulfilling. He first became a franchise broker, helping others find business opportunities right for them. Mike opened his own Groutsmith franchise in 2011 after getting to know the business and seeing others succeed as franchisees. Since buying the franchise in 2011, Mike has expanded into a second territory and expects to do $1 million in sales by the end of 2018. Read the full story, packed with Mike’s own words below. 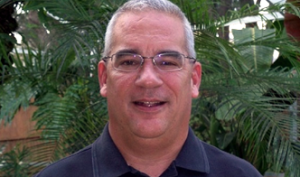 Like many of us, Mike worked several jobs before landing in his role as a franchise owner. After spending years in the corporate world, he turned to franchising as a way to work for himself doing something more fulfilling and without having to start a business from scratch. Mike first connected with The Groutsmith as a franchise broker. After learning the business model and value proposition inside and out by helping others start their own franchises, he bought one himself, turning all of his attention to growing his grout and tile business in Orlando, Florida. When thinking back on the first steps of becoming an owner with The Groutsmith, Mike calls out two important factors that helped him succeed early on: accurate start-up costs and a solid business model with processes he followed closely––even without any prior grout and tile experience. With a simple model to follow, Mike quickly hired a small staff, got them trained, and saw positive cash flow with sustained growth year over year. Diving deeper into the quality of training, especially given no prior direct experience, Mike says a big chunk of his success comes from following the model that was clearly laid out for him. The simple, “no-surprises” model of The Groutsmith, is what Mike says makes it perfect for someone looking to jump into a low-cost franchise with a clear pathway for success. In his experience, the value of the brand and service do a lot of the heavy-lifting when it comes to closing new business. It’s just up to the owner and their teams to get there. Mike is one of the first people to own a Groutsmith franchise and also one of the most successful in terms of growth. His story offers a unique look at what’s possible when The Groutsmith model is followed in a lucrative market and earnings are smartly invested to achieve even more. While every small business (even franchises) demand a lot from their owners and the teams they surround themselves with, Mike’s story is a testament to the lifestyle and freedom that success with a grout and tile franchise can bring––all while enjoying the level of work being done. For Mike, that’s the freedom to spend much of his day doing what he wants at 58 years old, whether it’s a project around the house, a dip in the pool, or just relaxing for a chunk of the day. Surrounding himself with a reliable team is also important to Mike. This has given him the ability to reshape his lifestyle as a franchise owner. While Mike says many customers value the fact that they simply can’t get the kinds of “cadillac”quality products The Groutsmith uses, he says the value proposition is even more important. That goes for both customers and his team. 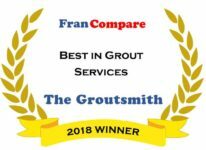 Looking back on his years as a Groutsmith franchise owner, Mike says he not only would have done it all again, but he would have done it even earlier if he could have. It’s rare that people who find success in business ever saw themselves where they ended up early on. That’s something Mike feels everyone should keep in mind. Passions can develop over time––something he wishes anyone considering a franchise should keep in mind if they have the drive to be successful with the right plan in front of them.